PREMIUM ESSENTIAL OILS FROM MOOKA – Contains 12 bottles (10ml/bottle) of the most popular essential oils on the planet, such as lavender oil, tea tree oil, lemon oil, provides multiple aromatherapy healing, cleansing, and fragrance benefits. Perfect for home Diffusers, Humidifiers use. Or use as Massage and Body Oils for Spa at etc. MAGICAL BLENDS EFFECTS – With Lavender, Tea Tree, Eucalyptus, Lemongrass, Sweet Orange, Peppermint and etc. You can choose to use these oils separately (external use only), or try to motivate your emotion to blend them together and make your own special aromatherapy oils, that would be incredible. 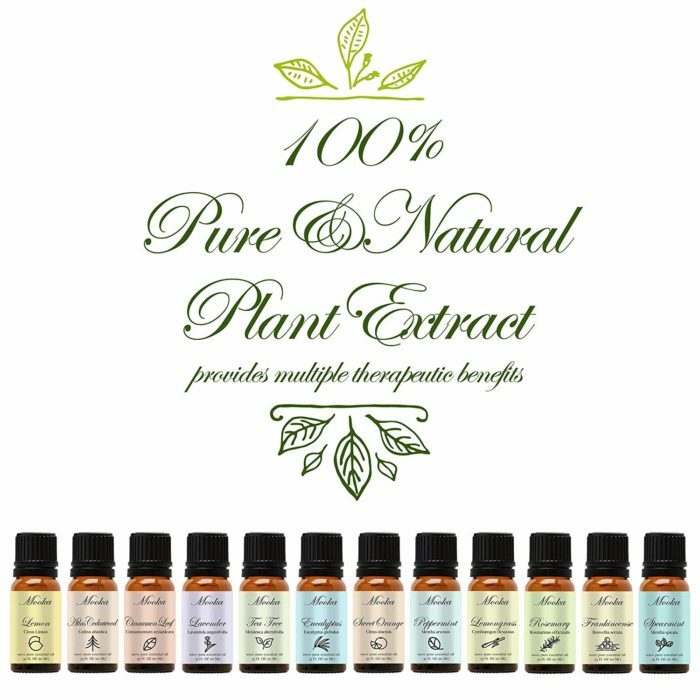 Top 12 Essential Oil Set: Contains 12 bottles(10ml/bottle), Lavender, Tea Tree, Eucalyptus, Lemongrass, Sweet Orange, Peppermint, which are the most popular essential oils on the planet. Therapeutic Grade: Firstly, you must know that essential oils must be pure plant extracts to have a therapeutic effect. Adulterated oils or perfume oils won’t offer therapeutic effects and may cause allergies, headaches and chemical sensitivities. 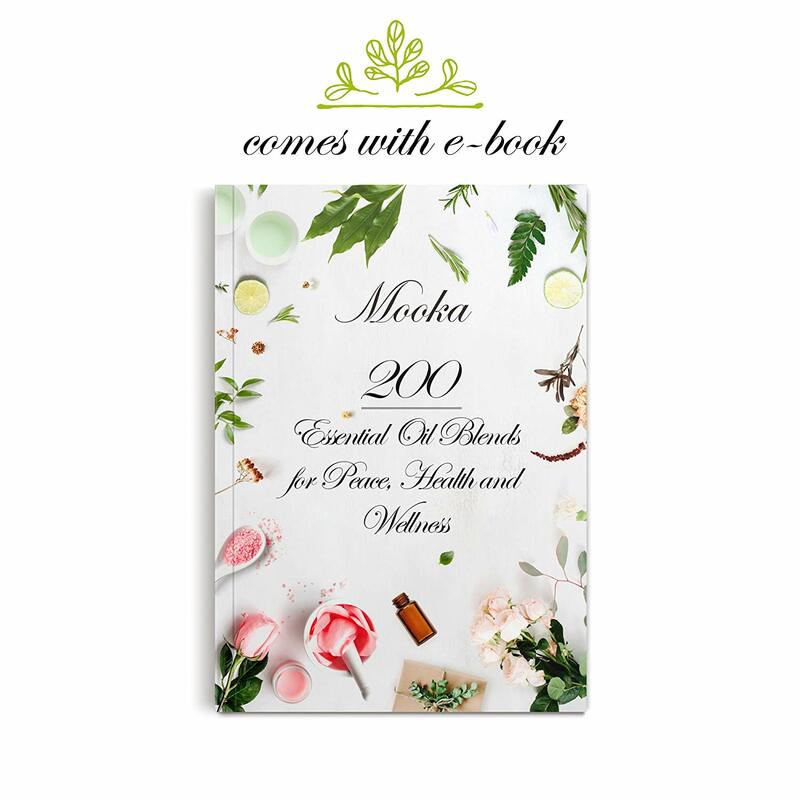 Mooka Essential oils are 100% pure with multiple aromatherapy healing, cleansing, and fragrance benefits. 8. Frankincense Oil: Promote overall wellness. 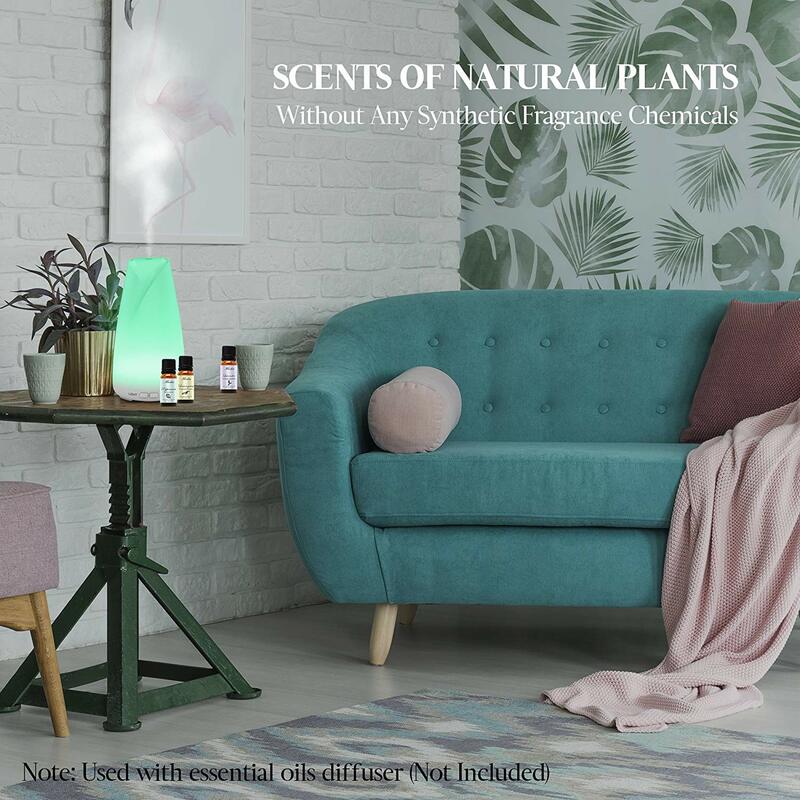 Mooka 100% Money Back Guarantee: If you are unsatisfied with our essential oil set in any way, just contact us for replacement or refund, we are always online. 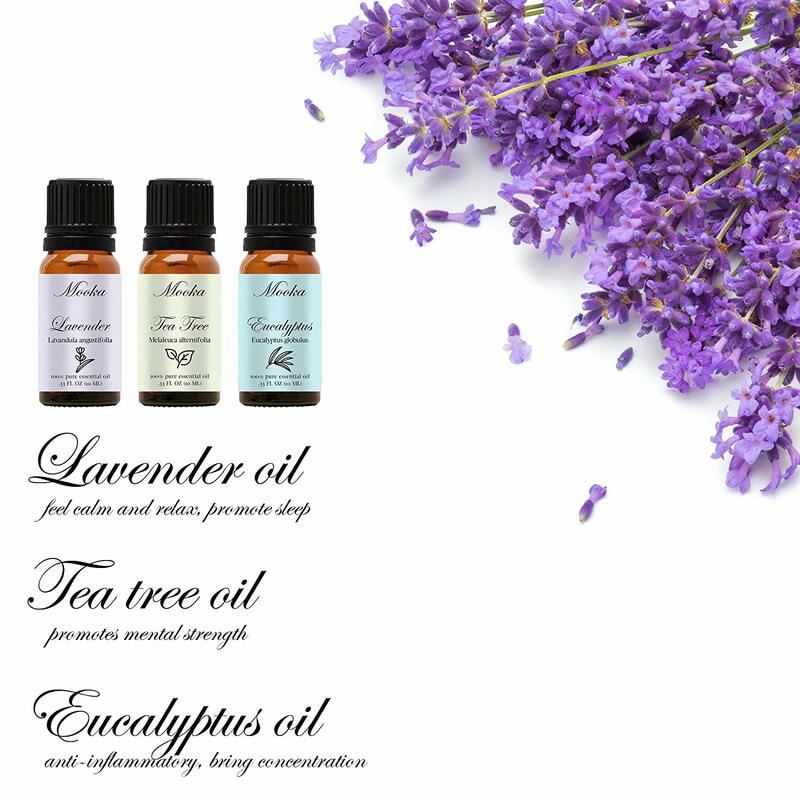 A great value for a very good selection of Essential Oils. The Mooka essential oils are wonderful! I love the variety in the top twelve pack! They are all great and smell fabulous! The set also comes with a nice get started guide of other uses for the oils and a beautiful description of each oil! The best quality for the price! Great variety of oils at a decent price. This is legit and it works!! You can use this for anything you need!!! Came smelling like tea tree, but overall the box seemed fancy and nice, would recommend. Arrived on time – went straight into the diffuser. Great stuff! This is a really nice set of all the most popular essential oils. I use them with a diffuser and it’s nice to be able to open the box and pick and choose according to the mood I’m in. It’s also fun to mix and match and just enjoy the different scents from different blends. Most importantly, it is a great value considering most oils cost almost as much as this entire set! It is especially helpful when I feel stressed or need a pick-me-up. Great fragrance, nice packaging and an excellent value! Oils purchased for relaxation benefits. Love that the oils include an ebook. I’m looking forward to trying some of the recipes! 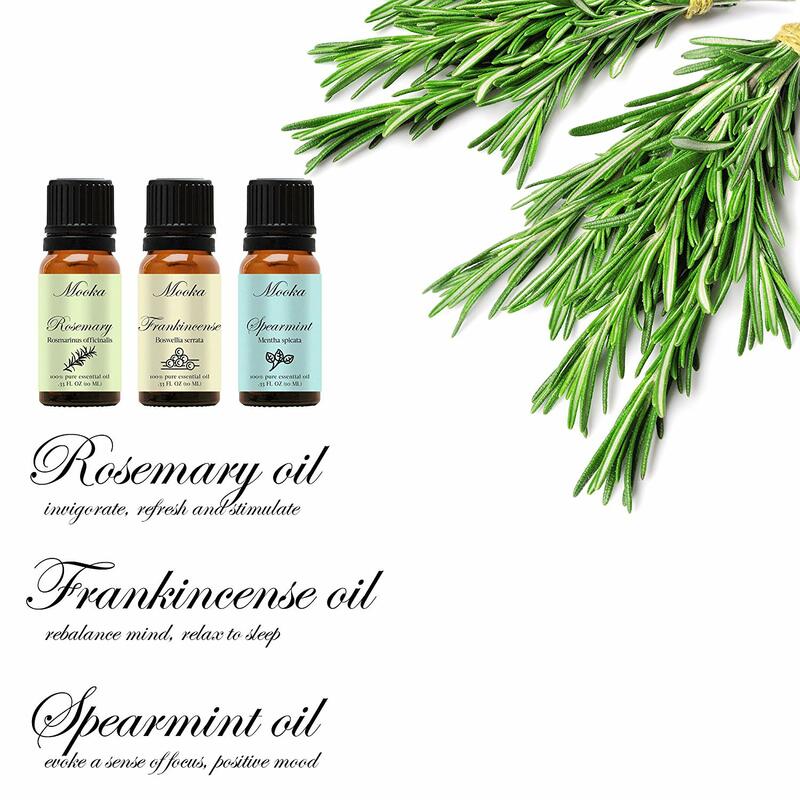 These oils work and smell wonderful. I was very interested in using essential oils for stress, lack of sleep and stress overeating. These oils smell wonderful. I’ve tried the lavender and eucalyptus for the first time and felt an immediate sense of calm and relaxation. I look forward to continue using these oils for better health and relaxation in every aspect of day to day living. 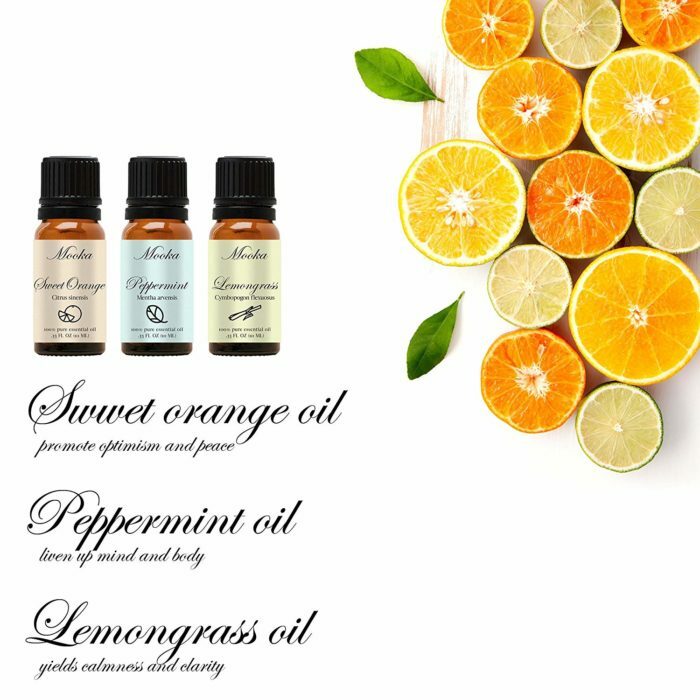 Great starter kit of essential oils in your home. I love the smell and quality of the oils. They make my loundry and house smell great. I put a few drops in my bathtub for a relaxing spa. The smells are amazing. Excellent quality product and packaging. I love the box its in. Very good oils. Good quality. I mostly use it for smell. It seems to take many drops to put off a strong enough smell but besides that I really like it. I usually diffuse orange and lavender to help sleep. Seems to work. I have used several times, for diffuser and also to mix different recipes . Thank you so much for the recipe book it has come in handy on getting the amount of drops correct. I’m sure I will be back in the near future to place another order. I have a skin condition and I can already see a difference in my skin since using your product. I love the purity of the product, even though the bottles is small the price makes up for the size. I had some trouble with the order and got ahold of the company, they took care of it right away . I am so pleased with them and all of the oils that I got. I really liked the package.There was no leaks like most of the oils I receive and I really like the scents. Thank you for sending me such a great product! I recommend these to anyone. I received a large box of 100 % essential oils. They were the best price, packed beautifully and very quick shipping. I was more than pleased. UPDATE: Customer service saw my review and fixed the issue! Much happier with my purchase. INITIAL: My set is missing 1 lavender and has 2 eucalyptuses instead. Already opened/used so not sure if this can be fixed. I love the smell and how long it last! It has a calming effect and relaxes my body!! Lovely set. One star off for duplicate frankincense scent and left out cedar wood. 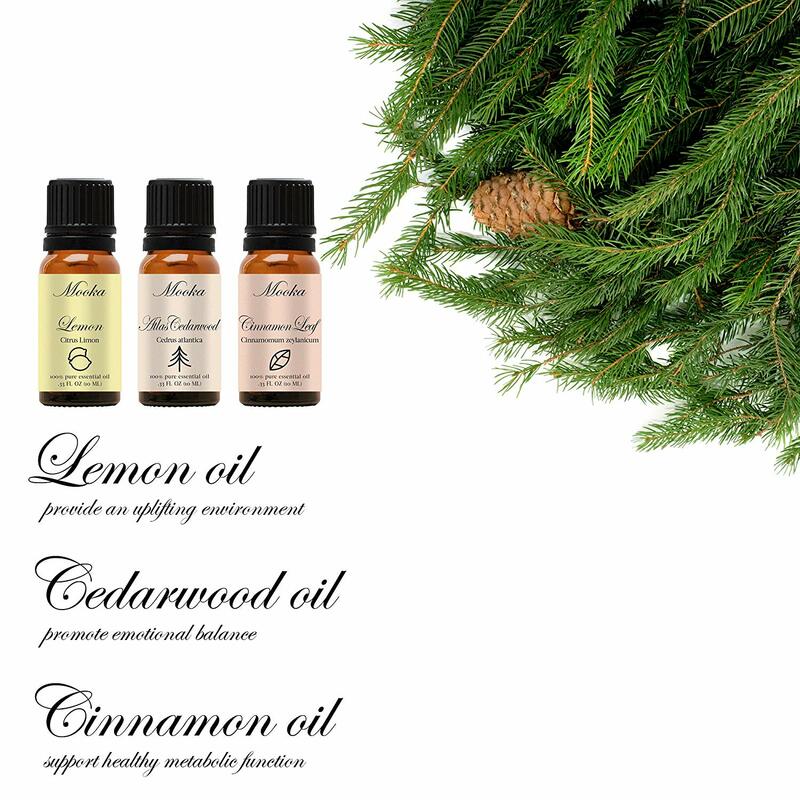 Great variety of oils all in one set! Love this set! Not just the basics like so many other sets offer, but the extras like Rosemary, Frankincense, Cinammon, Spearamint and Cedarwood at the same or less than the basic sets I’ve previously purchased. The oils all have a nice strong scent to them upon opening the bottles. I look forward to using them in my diffuser. I like blending scents and these will give me so many options. I use this product everyday. From relieving stress to focus and concentration. Nice variety pack of oils for my diffuser. Great value. Love the ebook to help with recipes – so fun. I like the sampler approach because I found ones that I would have never purchased individually, but now some of my favorite. Will take me some time to get through all of them – good size product. Good value for the set. Smells great! The best therapeutic oil I’ve bought so far. I have Locs and I’m they sometimes dry my scalp. These oils are the truth! Really happy with this set of oils! Has every scent you could possibly looking for! I use them with an oil diffuser and they do a great job, just a few drops and you’re good to go! They seem to be the classic essential oil size and when only using a drop or two you’ll have more than enough for quite some time! Pay extra attention when opening! I’m only giving this set 4 stars because I could smell them before even opening the package, which means that one leaked. Sure enough, opened the box to see the frankensense leaked in transit. Which I’m Uber sad about. 🙁 Other than that, from what I can tell so far, they’re great quality and such a variety of oils!! This product is perfect for a beginner. It comes with the top 12 essential oils that you need with bonus recipes!! The scents are very strong and are of therapeutic grade. When I put them in my essential oil burner they last for a long time and are very fragrant. I also use them with my lava beaded bracelets for aromatherapy. It works extremely well with the bracelets, as well. I am thoroughly enjoying this product and would highly recommend it to anyone interested in purchasing. The best oil I’ve bought so far. Great smell, best price, leaves the bedroom smelling amazing!!! Husband loves it too. Some of them are great but some just don’t smell right at all, to me. The Lemongrass leaked some. The seller is awesome. I love the essential oil great variety. Beautiful Packaging got here on time would recommend. Perfect for a essential oil starter ! I am new to essential oils so to me this was the best starter pack. It comes with 12 absolutely great scents. They all smell amazing. It was nice to have such a wide variety so I could narrow down what exactly I loved. It comes in a nice compact box so I can easily keep everything together. Great value and high quality oils. All of them smell great! It works perfectly with our diffusers; my only disappointment is that it’s hard to control how many drops come out of the bottle at a time. Maybe it’s something I’ll pick up as I continue to use these bottles. Very potent! Even the closet I store these bottles in smells great! I am new to essential oils it is a good selection of oils. When I received them they were in good package. The disappointment was that I couldn’t download the e-book. I love the starter recipes for different ailments. It helps to know what oil helps with what ailment. Fantastic oils but packaging defect. Overall love the oils, they’re great. However I’m giving 4 stars because one of them came without the dropper lid part (yeah idk what it’s called but it’s so just a drop can come out at a time) so every time we use it we have to pour it and it goes everywhere. This is a nice set. I only use oils in a diffuser or for a roll on so I only use a few drops at a time. I usually only buy 1 dram bottles because of this but these looked appealing for size and especially price. It would be nice if they had a couple more sets with different oils in them. I’m new to essential oils so really do not know how pure or impure these oils are; what I do know is that all smell very nice, however, I do have to add an awful lot of drops in order to last 3 hours in my diffuser. I purchased these for my aroma oil diffuser and they’re perfect. The different scents all provide me with positive energy that I can just sit back and relax with, without needing anything else-such as the TV. I purchased these oils for use in a a diffuser. This is a great set to find your favorite scents. They come in a nice box and and the bottles are a good size for a sampler set. Some of the oils didn’t smell great straight from the bottle but smell amazing when you put a few drops in a diffuser. Also try blending different oils for even more variety.